Today marks the passing of a decade since Layne Staley… moved on, shall we say. Or “broke free” might be another way of putting it, since his constant struggle with drug addiction might very well be regarded as imprisonment. In any case, I don’t feel this is a sad day, or at least I don’t see it as anything but a day to celebrate the great music that Layne graced us with. And what better way to celebrate it than to recommend the Sap EP, released on the 21st of March 1992. I like these sort of axis kind of things. 1992 produced two of Alice in Chains’ greatest records – this acoustic, tonic, bright little five-track record, and the formidable Dirt album, about which I wrote a while ago. 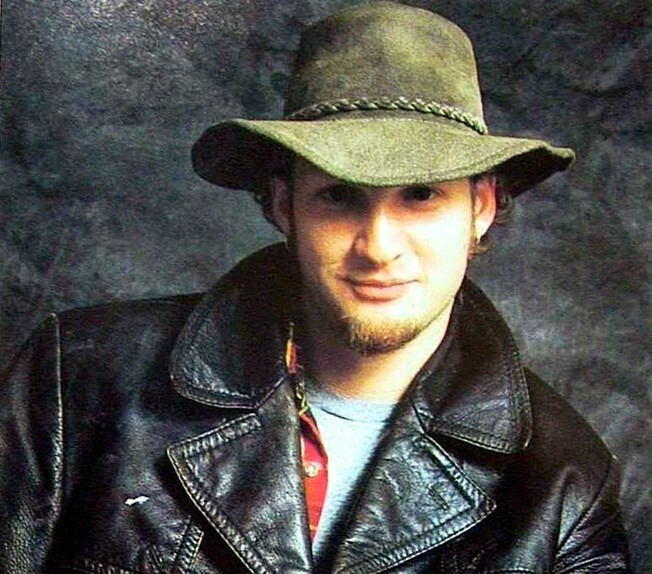 It’s nice to listen to this folk-ish, relaxed, earthy music, denoting so much joy, such a smooth feeling of ease and simplicity, as it puts things into perspective – it took a mere ten years for things to become so irreparable for Layne that he simply couldn’t survive any longer. But this record offers only a slight hint of that path, a subtle suggestion of darkness in an otherwise open, crystal clear emotional/musical gem. In any case, I think this record works very well as a mood setter for an early spring evening, and as a soundtrack for celebrating Layne Staley’s unique, unforgettable voice. I leave you with all the tracks on Sap, as a special treat. See you soon! Rock history has its hefty share of sad stories about great musicians struggling with addiction and losing the struggle. Jimi Hendrix, John Bonham, Jim Morrison, Kurt Cobain, the list goes on an on, a litany of misery and pain which people often have trouble relating to, considering the fact that the people going through these ides and not making it through do enjoy huge popularity, fame, fortune and so on, and still end up burning themselves away like that. Mad Season is a band which seems to me inextricably linked to this struggle for balance, and the way it’s sometimes simply unattainable. 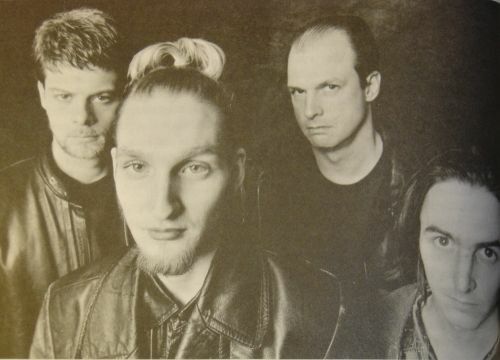 Mad Season was a sort-of grunge supergroup formed in the mid-nineties, out of members of Pearl Jam, Alice in Chains and The Screaming Trees – almost all of them musicians who had struggled with drug addiction and had went through rehab. The band was a form of celebrating sobriety, and a form of maintaining it, via constant reciprocal support. The only one in the band who wasn’t sober was Layne Staley, the singer from Alice in Chains, who got drafted into its ranks in an attempt to get him off drugs. In this sense, Mad Season was the biggest, most remarkable intervention I’ve ever heard of. I won’t dwell on the fact that it didn’t really work, I’d like to think that’s nothing more than a sad afterthought to the wonderful spark this band kindled. Mad Season isn’t a grunge staple, they aren’t a band which would get recommended a lot, not a high-profile, triple A affair. What they are, is honest, balanced and moving. Their music is a very satisfying blend of grunge’s more abrasive side with a sort-of acoustic sensibility, a slow, deliberate tempo maintained throughout the record. It’s also influenced by a wider range of genres than grunge as a whole admitted to, which keeps the album fresh, satisfyingly eclectic and meaty. Truth be told, you won’t hear anything truly surprising on Above. The slow tracks remind me of Alice in Chains’ acoustic releases, the harsher parts sound a lot like Pearl Jam and there’s even a definite nod towards Nirvana’s style (particularly heavy drumming, remarkably simple and memorable guitar riffs) on I Don’t Know Anything. However, this album seems to me like a true x-ray of a whole generation’s musical mode of though, a wonderful panorama of grunge in all its iterations, lifted well above mediocrity by Layne Saley’s unique voice, shifting from whisper to rending scream instantly and with impeccable timing. It’s what I’d call a “cozy” album – a low expectations-high results sort of thing (the whole material was put together in about three weeks, it’s about as close as grunge has come to a jam band), not as seminal as Nirvana’s Nevermind, not as ferocious as Alice in Chains’ Dirt and not as popular as Pearl Jam’s Ten, but rather smack in the middle, balanced, self-sufficient through self-awareness. Above is the only album Mad Season ever released – the band went on what was basically a semi-permanent hiatus after that, due to the members’ conflicting schedules. Eventually, the whole thing fell apart with the death of the bassist, followed three years later by Layne Staley’s own demise at the hands of substance abuse. This year marks a decade since he passed away, and I can’t really explain why I’ve been dwelling so much on his work as of late, I guess it’s just one of those synchronicity oddities. Mad Season seems to me like a wonderful way of remembering him – a relaxed, simply creative band who didn’t waste any time worrying about labels, fluff and pomp, and was trying its best to drag him away from his demons. There’s no happy end, bu there’s a shimmering, vibrant middle to the story, and Mad Season is the soundtrack. I hope you enjoy this music, even though I’ve set a rather depressing tone, for which I apologize. I promise I’ll try to talk about some sunnier music next time. See you soon! I find it difficult to approach grunge the same way I can most other musical genres when trying to write about it. I’m tempted to say it’s because of a certain refusal of poetry in the music, a refusal of romance, but that’s only partly true, on the one hand, and it’s not specific to grunge, on the other hand. Perhaps the reason is more personal than that, seeing as I more or less grew up with this music all around me, even though my musical tastes always lagged behind a few years – when Nirvana was all the rage, I was barely discovering Guns’n’Roses. The bottom line is I feel I love this genre above most other instances of rock, but I can’t explain this attraction very well. Alice in Chains is, however, without a doubt, my favorite band of the nineties, and this album is in my opinion their best. I found out about Alice in Chains from an old friend of mine who spent years trying to make me like Iron Maiden (to no avail, sorry dude). I was in one of my musical exploratory binges, and he had gotten a huge collection of metal tapes (cassette tapes!!) from an uncle, if memory serves. Alice in Chains’ Dirt was one of these tapes, and I took to it instantly. It was unlike anything I’d ever heard before – such harmony joined to such epic might, such emotion and sincerity, such shearing, ferocious guitars and organic rhythms… I was mesmerized and, dare I say it, became addicted to their sound. I would listen on repeat, for days and weeks, murmuring the songs under my voice when I couldn’t blast them out of the stereo, wishing I could sing them with Layne Staley’s soaring, raspy voice. I guess it was the first time I was feeling like a fan of a band as opposed to simply liking them. Surely, at that time I was a little too young to understand most of the lyrics on this album, many of them dealing with the struggle with drug addiction, but the music was (and still is) more than enough to keep me interested – it’s deceptively complex, constantly switching tempo, playing with so many layers of harmony and instrumentation, shifting gracefully from a hard-rock aesthetic to a definite metal mind-set at the blink of an eye. 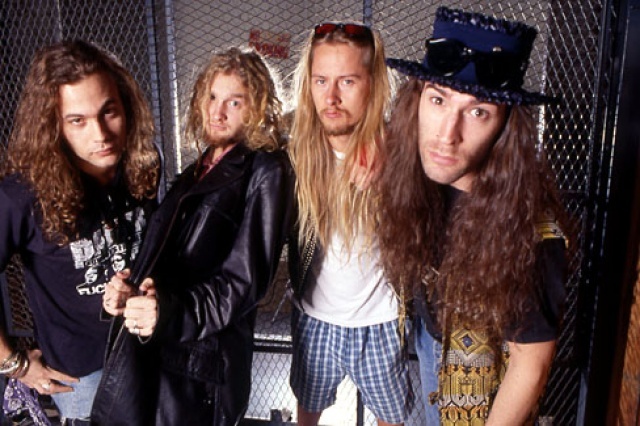 Alice in Chains have some of the most well thought out and intricate music in the grunge genre, demonstrating remarkable code-switching ability not only on Dirt but throughout their career. Their releases usually alternated heavy, electric albums with usually shorter, acoustic records of surprising tenderness and melancholy. There are no such folk forays on Dirt though, as this record maintains a robust rhythm from the very get-go, reaching a sort of maddening breakdown in the middle, with the bitterly ironic/demonic God Smack track.The record as a whole maintains a very tightly-knit mood, stays coherent, in spite of the protean nature of the songs. I think the wonderful thing about Alice in Chains is their ability to pace their music, to play with the listeners’ expectations of when a musical climax should ensue. While maintaining a definite pop sensibility and lack of pretension, they manage to stay surprising and complex on a compositional level, and energizing when it comes to actual musical skill (Jerry Cantrell and Layne Staley made a tremendous song-writing and performing team). After Layne’s death, Alice in Chains went under the radar for over a decade, only to resurface in 2009 with the remarkable “Black Gives Way To Blue” album, which denotes a few changes in aesthetic, gives the impression of a band shaking off the cobwebs and re-learning the ropes, but still captures that legendary vitality and depth the original line-up used to project. It’s reasonably likely that we’ll see a new release from Alice in Chains this year, according to multiple online sources and Jerry Cantrell’s own statements made throughout 2011. I’ve got my fingers crossed, seeing as they’re the only band left, in my opinion, that continues to make grunge relevant and powerful to this day. I hope you enjoy these songs from Dirt, and I’ll see you soon! Now reading The inspiration for this blog, except it’s about books. ZaSnaps New, visual member to the Za Collective! You will be assimilated.